If the premises become untenantable because of damage by fire, water or other casualty or because of any condition hazardous to health, or if there is a substantial violation ...materially affecting the health or safety of the tenant...[and] If the tenant remains in possession and the condition materially affects the health or safety of the tenant or substantially affects the use and occupancy of the premises, rent abates to the extent the tenant is deprived of the full normal use of the premises. This section does not authorize rent to be withheld in full, if the tenant remains in possession. Wis. Stat. 704.07(4), 2017 Wis. Act 317, Sec. 39, Eff. 4/18/18. NOTE: This new language doesn't really change anything! It is safe to say that any building code violation will meet this criteria. None of these laws or procedures apply if the damage was caused by "negligence or improper use by the tenant." The landlord still has to make repairs and keep the building up to code, but tenants cannot use rent abatement. Tenants should also know that if repairs are needed because of their action or inaction, the landlord can charge a "reasonable hourly rate" for their time, materials, and time spent purchasing or providing materials, supervising their staff or agents, and hiring a third-party contractor. Wis. Stat. 704.07(3)(a), 2017 Wis. Act 317, Secs. 37 & 38, Eff. 4/18/18. Never abate 100% of the rent - you have to pay a little bit each month. Always follow rent abatement procedures for your city, if there's a program. The cities of Madison, Fitchburg, Milwaukee, Kenosha and Wausau all have ordinances regulating rent abatement or withholding. Don't abate on your own if your city has a rent abatement or withholding process - the judges in court will likely ask you why you didn't go through those procedures. If there are no ordinances regulating the abatement process for your city, then follow the steps below. Always send a letter when a big repair issue starts (or a little one that might turn into something big). This lets you show exactly when the landlord first knew about the problem, so as to get the most out of the rent abatement process. Notify your landlord of the problem. It's fine to do this verbally (or with a phone call), but you really need to follow up with something in writing, because it shows, oh so clearly, exactly when the landlord first knew about the problem. Tips for getting things in writing are here, and here are tips on writing a follow-up from a phone conversation. Write another letter! If it's not an emergency (things like no heat in the winter would be an emergency), then write a second letter. Give a reasonable deadline for the repairs to be made. Judges tend to like it when people really try to work things out outside of court. Call the building inspector for your area. A list of some state building inspectors is at the bottom of our Repairs in Wisconsin page. If there isn't a building inspector in your area, then call a competent contractor to come and say exactly what the issues are, and if the building is up to code. Option A: Rent withholding: Withholding rent is very risky! If you withhold rent (i.e., you don't pay your rent when it's due), a landlord will start the eviction process, and then you end up arguing your case as you're in danger of losing your housing. If you choose to withhold rent, put it in a separate savings account, or escrow account, to give to your landlord once repairs are completed. You can choose to withhold all your rent, or part of it. If you are going to court, it is very important to bring copies of these laws and any documentation to your initial hearing, since you can only get a trial with a judge if you raise "valid legal grounds." Wis. Stat. 799.206(3), 2017 Wis. Act 317, Sec. 49, Eff. 4/18/18. Option B: Reducing future rent: Failing to pay your full rent is very risky! If you do not pay your full rent, then you may end up fighting for your housing in eviction court. To take this route, find out what rent abatement charts say about reducing your rent (in cities that have programs, linked below), and then take a conservative approach to those numbers. Write a letter explaining to your landlord what you are doing and why. Here is a spreadsheet to help you figure out how much to pay. Option C: Suing for past rent abatement: This is the safest way to take matters into your own hands. If you want to sue for rent that you feel that you shouldn't have paid, you can file a suit for past rent paid in Small Claims Court. (Small claims info here, and here, and here). To get an idea of how much to ask for, it's a great idea to look at how other cities are doing rent abatement (several charts are linked below), and ask for an amount similar to what has been approved in other places. Here is a spreadsheet to help you calculate how much to sue for. NOTE: The new laws say that local rent abatement procedures can only be for "conditions that materially affect the health or safety of the tenant or substantially affect the use and occupancy of the premises." This does not really change anything! It is pretty safe to say that any building code violation meets this criteria, and always has. Wis. Stat. 704.07(5), 2017 Wis. Act 317, Sec. 40, Eff. 4/18/18. Process: (Pamphlet with procedure explanation is here). Start by notifying your landlord of the repair concern. If no action (or not enough action) is taken, then call the Wausau building inspector (715.261.6780) to come out and inspect the rental property. If there is a violation, the landlord will be notified by mail, and given a deadline by which time the repairs need to be complete. If the landlord fails to make repairs by the deadline, and the building code violations were abatement-eligible, then the tenant can apply for rent abatement. Tenants have to complete the application for rent abatement within 30 days of notification that the property is eligible for rent abatement. Rent abatement program page is here. Rent abatement chart indicating suggested reductions is here. Scroll down to page 16-15 for the beginning of the chart. Process: Kenosha has a rent withholding process, which allows tenants to pay their monthly rent directly to the City of Kenosha if their landlord has failed to make code-required repairs ordered by the City. Tenants should start by contacting your landlord notifying him/her of the repair concern. If the landlord doesn't take appropriate action, then tenants should contact the building inspector for the City of Kenosha at 262.653.4263. If the landlord still doesn't make repairs within the allotted time, then the tenant can apply with the City to pay full rent directly to the City, and the City of Kenosha holds the rent in an escrow account until the landlord has completed all the repairs to the City's satisfaction. Once the repairs are completed, the tenant is notified to resume paying their rent to the landlord and the escrow funds less expenses are returned to the landlord. Rent withholding program info is here. Process: (Website with the complaint procedure is here, and the subsequent code violation procedure is here). The City of Milwaukee wants tenants to start by notifying your landlord of the repair concern. If no action (or not enough action) is taken, then call the Department of Neighborhood Services (414.286.2268) to come out and assess the rental property. If there is a violation to building code, the landlord will be notified by mail, and given a deadline by which time the repairs need to be complete. If the landlord fails to make repairs by the deadline (DNS will re-inspect), then the tenant has 2 choices: The tenant can pursue City-sanctioned rent withholding (where all of the rent is withheld in an escrow account until the landlord makes repairs) by applying through the Department of Neighborhood Services, OR, the tenant can seek rent abatement (a reduction in rent) by contacting Community Advocates (414.449.4777). Tenants cannot both withhold and abate - they have to choose one method for dealing with the tough situation. Department of Neighborhood Services website is here. Community Advocates website is here. (According to DNS, they have a system of percentages for abatement-eligible violations similar to the City of Madison's). Process: (Website with the complaint process is here). The City of Madison wants tenants to start by notifying your landlord of the repair concern. 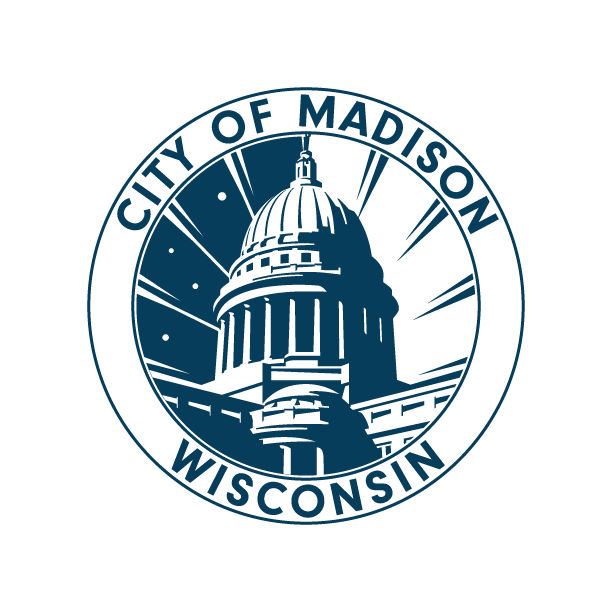 If no action (or not enough action) is taken, then call the City of Madison Building Inspector (608.266.4551) to come out and assess the rental property. When a housing inspector inspects the premises for violations of Housing and Building Codes, he/she will send the landlord an "Official Notice" which cites any violations and gives compliance dates for fixing them. The Official Notice indicates violations which may be eligible for Rent Abatement; not all violations qualify. If the landlord fails to correct abatement-eligible violations by the compliance date, the Building Inspection Department will notify the tenant of abatement eligibility by mail. If you are eligible, you must apply for an abatement hearing within 30 days after the first notice of eligibility is published. If a tenant applies for rent abatement, there will be a hearing and the examiner has up to 20 days to make a decision. The examiner will decide whether the tenant may abate rent, and if so, how much may be abated for each violation. Under the city ordinance, tenants may not abate rent until it has been ordered by a hearing examiner. Abatement ordered by a hearing examiner is retroactive to the date of the original building inspection. Alternatively, instead of choosing to abate your rent, Madison tenants can choose to "Repair and Deduct." After the hearing where the examiner decides that the property is eligible for abatement, tenants can make their own repairs and bill the landlord. More information on Repair and Deduct is here, in Step 6B. Rent abatement chart indicating suggested reductions is here. Click on "Chapter 32 - Landlord and Tenant" and then scroll down to page 32-8 for the beginning of the chart. Process: Start by notifying your landlord of the repair concern. If no action (or not enough action) is taken, then call the Fitchburg building inspector (608.270.4200) to come out and inspect the rental property. If there is a violation, the landlord will be notified, and given a deadline by which time the repairs need to be complete. If the landlord fails to make repairs by the deadline, and the building code violations were abatement-eligible, then the tenant can apply for rent abatement. The City of Fitchburg will decide on how much rent can be abated (reduced). This website is where you can file an online complaint about a landlord who hasn't made repairs. General Fitchburg building inspection website is here. Rent abatement chart indicating suggested reductions is here. How do the Rent Abatement charts compare? Fitchburg's chart is modeled on the City of Madison's, and most wording and percentages are the same, with a few exceptions. Wausau chart is much more limited in scope than Madison and Fitchburg's, but where there is an overlap, the wording and percentages are very consistent. For example, Madison's chart allows for a reduction in rent (after the building inspection and hearing process) for heat problems, where there is "No heat or consistently below 55°" saying that the recommended percentage is 25% reduction in rent for 24-48 hours worth of problems, and 50-95% for over 48 hours worth of problems. Fitchburg and Wausau's charts have the same wording on this issue, and so the guidelines would be the same for heat consistently below 55°, though the implementation would likely be different between hearing examiners.